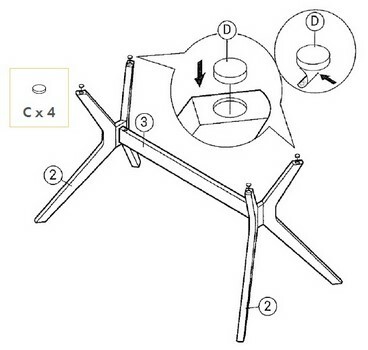 If you have trouble assembly the table or bought a new table and want to assemble it correctly, now know how to assemble the dining table, a detailed explanation of each step using pictures. 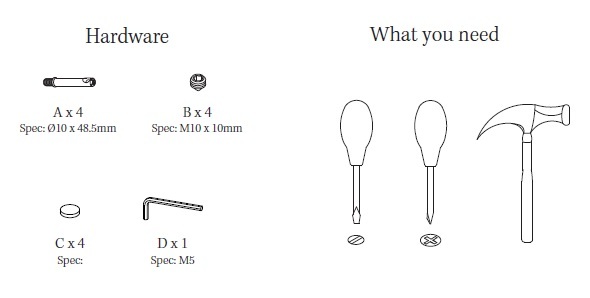 Before you start assembling the parts of the table, you should read that information carefully so that you can finally assemble the table correctly without mistakes. 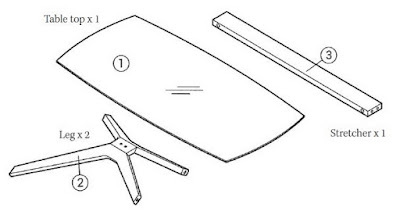 When you receive the table from the company representative or a shipping company, open the carton and make sure that the table is intact and not broken and make sure that all the parts of the table are available and to know it easily, remove the parts of the table from the box and put each part above the similar image on the surface of the box. 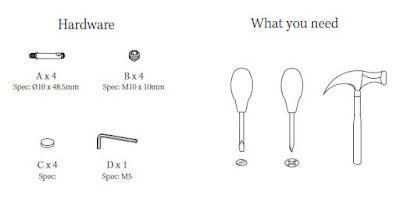 If there is a broken or scratched or missing parts, contact the supplier immediately, and stop assembling the table until the problem is resolved with the company to maintain your right. 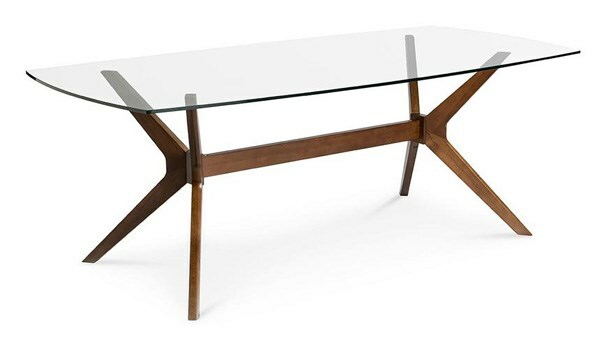 In addition to the above you should make sure that the area where the assembly is clean and preferably a level surface and soft to not scratch the table. 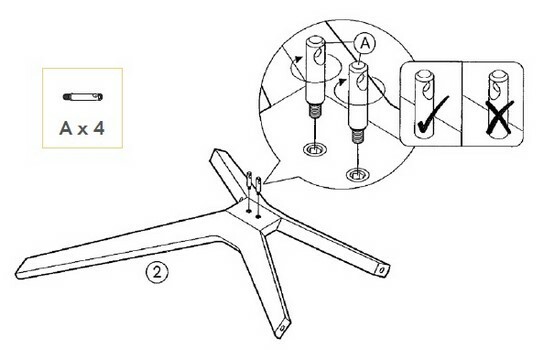 Do not tighten the screws, but you can do that at the end of the installation so you can complete all the steps easily. Someone else should help you complete the work. To avoid mistakes during installation, follow the following instructions, which will explain how to install the parts of the table step by step with illustrations in pictures how to use machines and tools. You must make sure that the steel wedges are placed in the right direction. 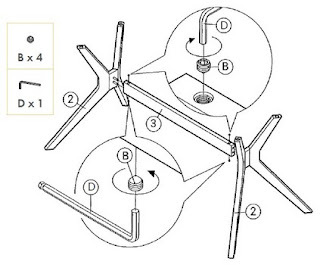 Repeat the same previous action with the other leg (2). Now we will assemble the table legs (2) together with a stretcher. To do this, we must align the table leg (2) to the stretcher wooden (3) and put it together by placing screw (B) into the hole in the wood stretcher then using the Allen key (d) to tighten as it is in the shape. Repeat with the rest of the other screws. 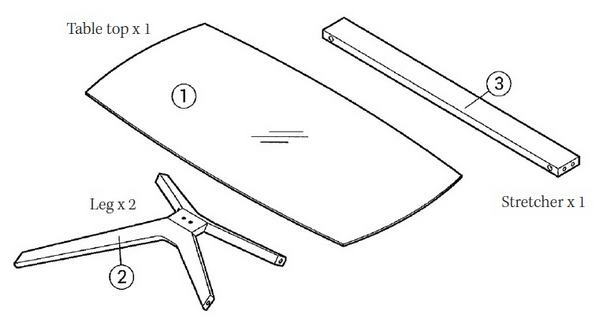 Now come to the most important step is the installation of glass at the top of the table (1), you need someone else to help you in this work. 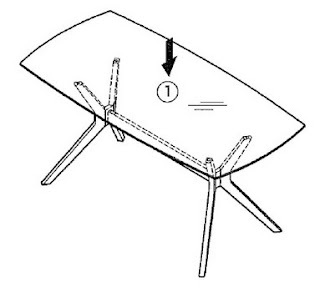 Take up the glass from one end and the other person carries the other end of the glass and then places it gently on the upper part of the table.